So the primary protection of our livestock is electric and woven wire fence. The portable electric fence allows the farm to graze on other neighbor’s land around town, as well as extend our grazing season into December using hay crop aftermath. We find that it is very important to train both the livestock and the predators to the fence by baiting as well as maintain a good voltage at all times. By “baiting” I mean that we place a small amount of say peanut butter on the electrified fence. When the predator attempts to eat the peanut butter on the fence, they get an electric shock. Predators are smart, and they learn quickly. We also will bring our flock back to physical woven wire fence once snow is on the ground as it decreases the grounding effect and animals do not receive the full shock. We have extensively used guard llamas for over forty years as secondary protection. 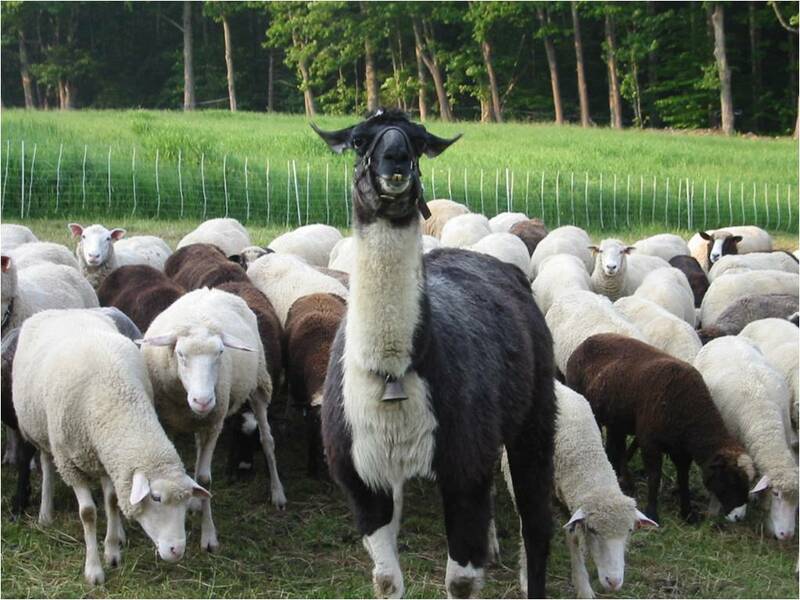 We only use fixed male llamas and only one per group of sheep. If coyotes, bears or dogs challenge the electric fence the llama’s presence is a great deterrent. Also the llama will stand by a ewe or doe at birthing and protect the lamb/kids from aerial predation. Llamas are quiet, have a sense of ownership of their flock, and require no special food. The only negative is that camelids are extremely sensitive to the meningeal worm and must be wormed every 45 days. We find that about 75% of llamas will work well at guarding, and that it is very important to tame them in the beginning with food so that they come when called and can be haltered for a move. They also require a training period in a woven wire fence with the net inside a portion so they can learn not to jump the net later. We have had success with llamas and prefer them in town as they do not bark and disturb the neighbors. They augment the electric fence by pushing the sheep to the middle and then standing right by the fence where the predator is stalking. We also use a Great Pyrenees dog for guarding our flock at the farm. He stays at the farm to eliminate the potential complaints of neighbors in town who may be bothered by the dog’s barking. We love this gentle giant and the sweet nature of the Pyrenees, and the fact that the sheep and goats totally accept him. He is excellent during Fall lambing and will stay by the ewe/doe during birthing and has actually been responsible for bringing back lost lambs to their mothers. They do require feeding every day and treatment for ticks. Our Pyrenees does not come in the house but lives outside in the pasture or around the farm yard. We also feel that our five Border Collies and Bernese Mountain Dog by themselves are an excellent predator deterrent. We have over 100 laying hens that we let loose to roam around the farm and help with insect control. We have foxes all around but do not lose chickens since the foxes will not come near with so many dogs around. We will also put the Pyrenees out with the chickens when they are in portable net to protect them from aerial predation. We rotationally graze 100 laying hens with some meat birds as a follow up to the sheep and goats. We also find that the predators themselves are a deterrent. When they are trained to the fence, llamas and dogs, their presence is a deterrent to other non-trained predators from moving in. So do not have hunters eliminate coyotes etc. if they are not causing a problem. Be sure to bait the fence every spring and throughout the grazing season to remind them that the fence is electrified. We have successfully lived with the predators because we have taken the initiative to use animal husbandry practices that work. As a result, we do not lose any of our livestock to predation. 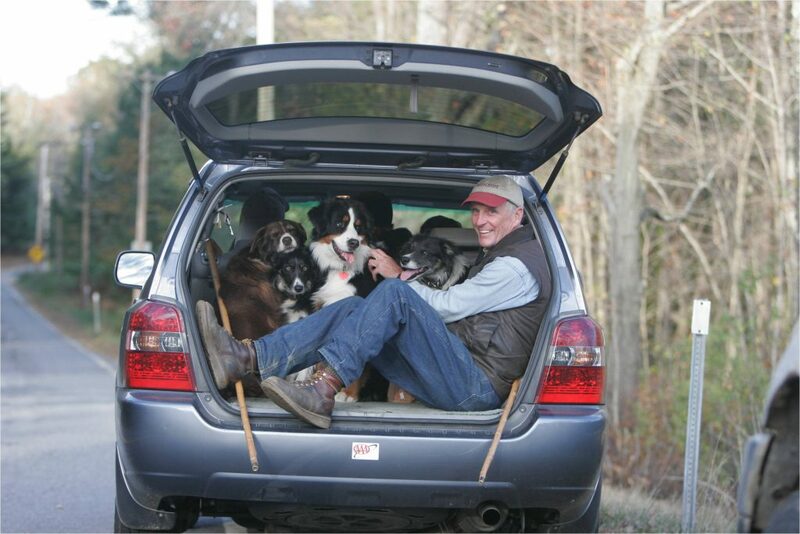 *** David Kennard is not only a successful farmer, he is also the owner of Wellscroft Fencing in New Hampshire. He gets to practice his fencing in the “real world” on his farm. He is slow to speak about it here as he does not feel he wants to “advertise” commercially. But know that he is also an excellent guide regarding secure fencing.